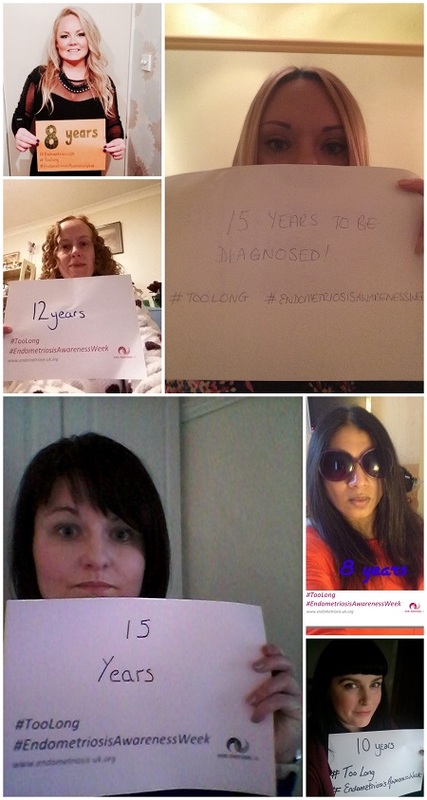 If you want to take part, take a picture of yourself holding a piece of paper which states how long you waited for your diagnosis. 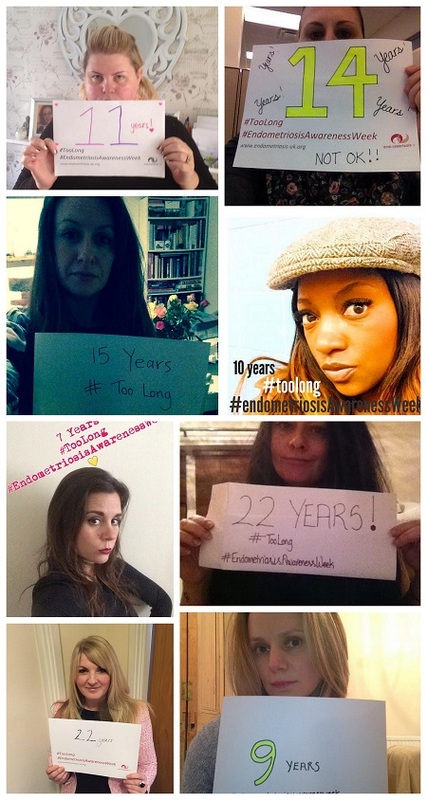 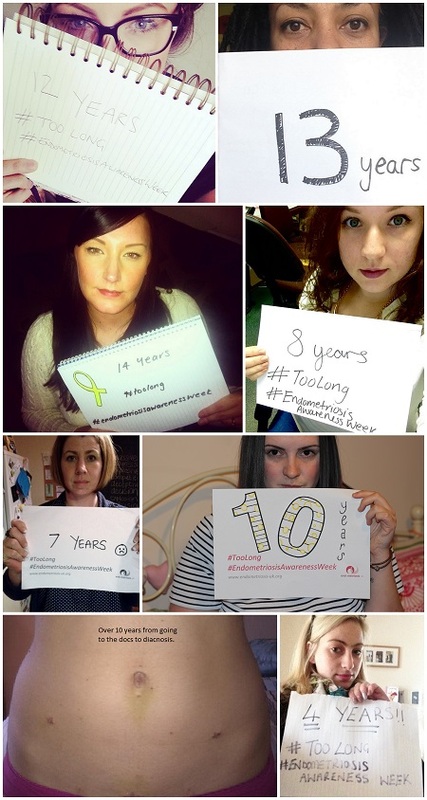 Add the hashtag: #TooLong and publish it on Twitter or email us. 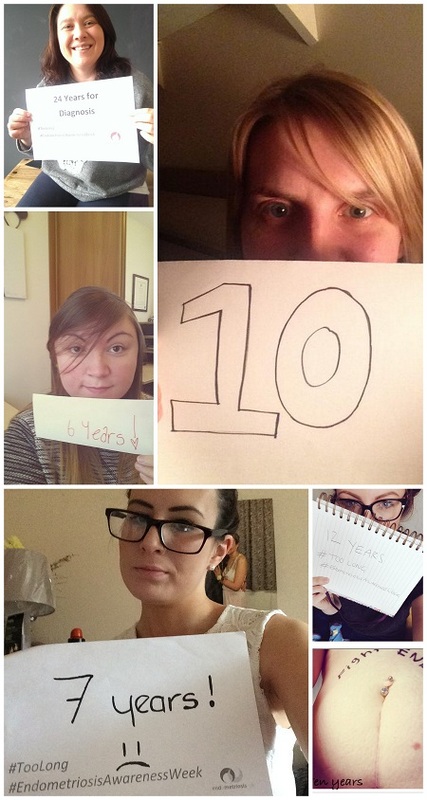 You can download a template HERE. 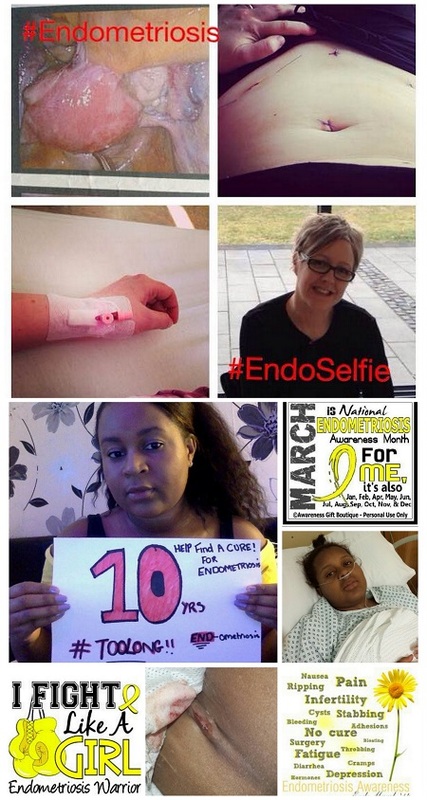 Don't have endometriosis and want to help? 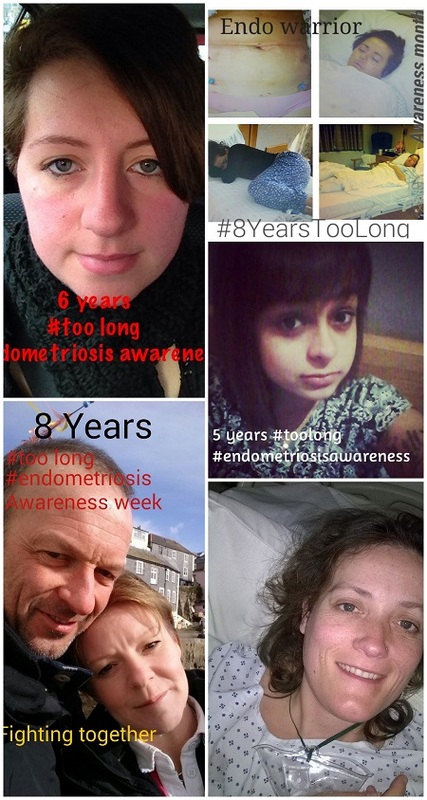 (Those with endometriosis are of course welcome to do this too!). 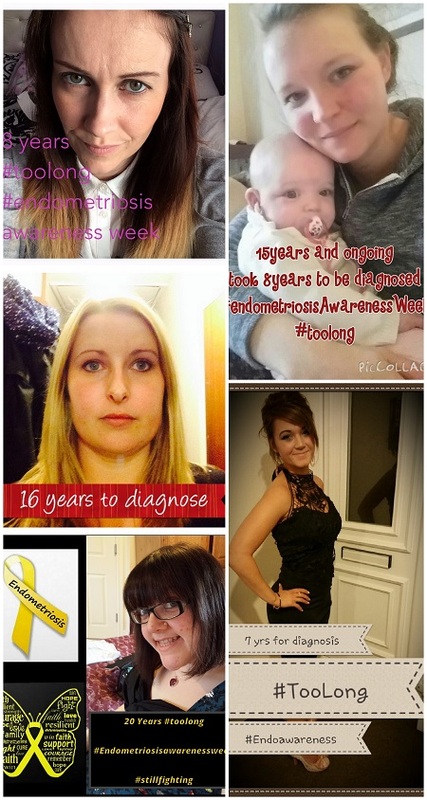 Help raise awareness and you could help someone to get a diagnosis. 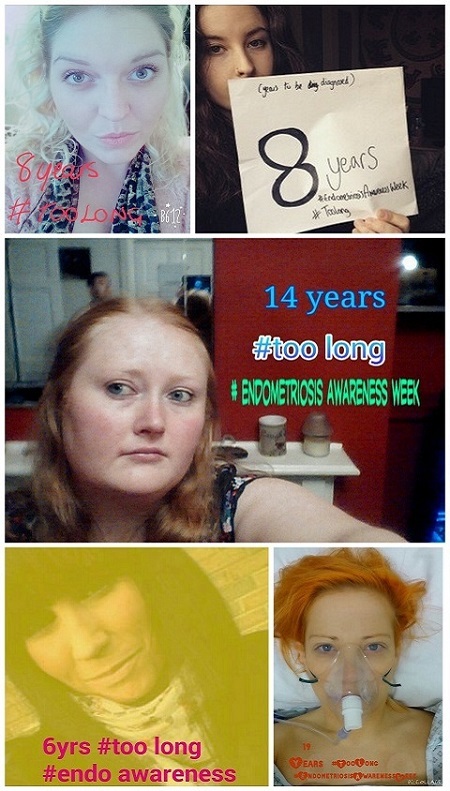 Please circulate this symptoms poster and/or flier. 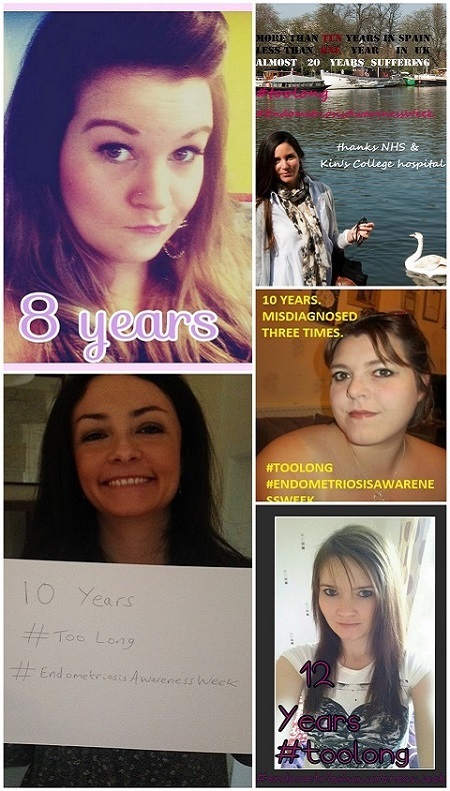 We need to inform women so they get diagnosed, and are not ignored or their pain treated as 'normal'. 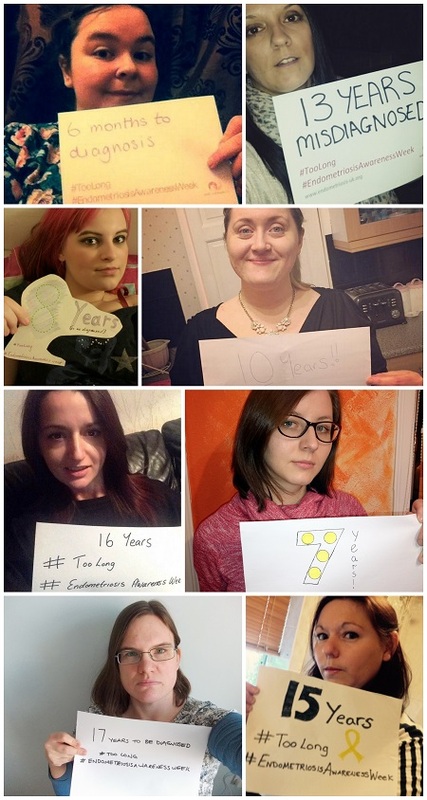 Thank you to everyone who has sent in photos so far! 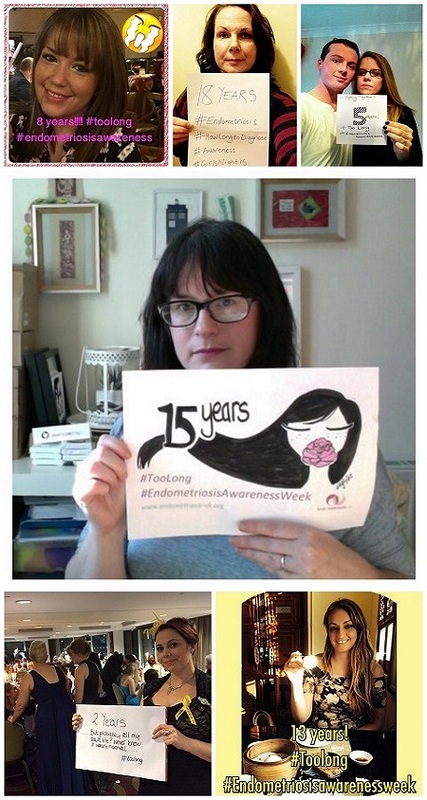 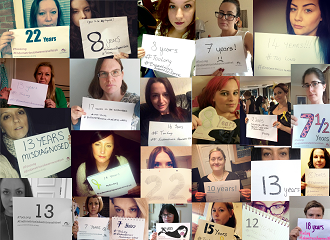 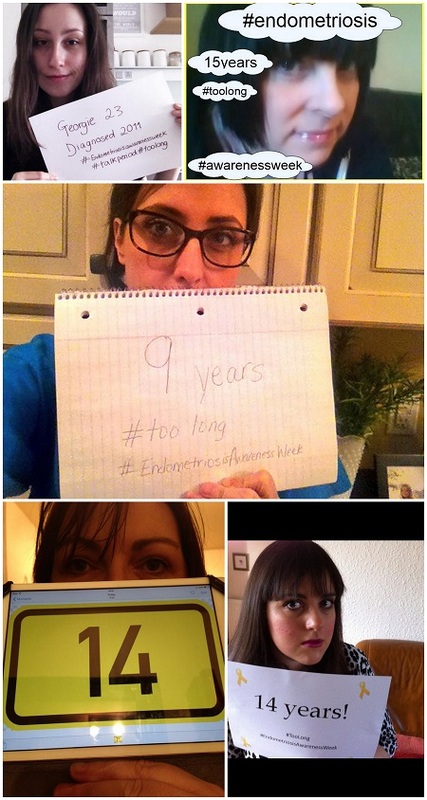 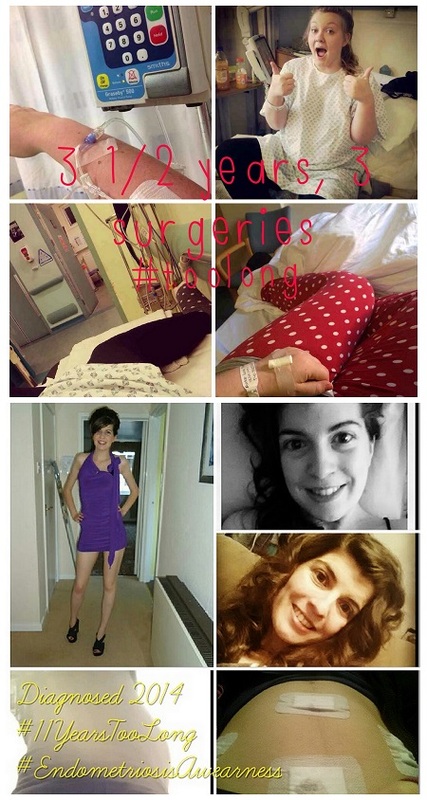 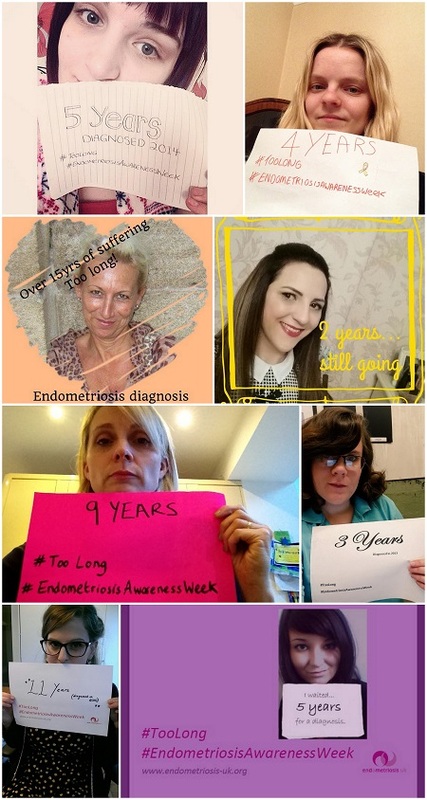 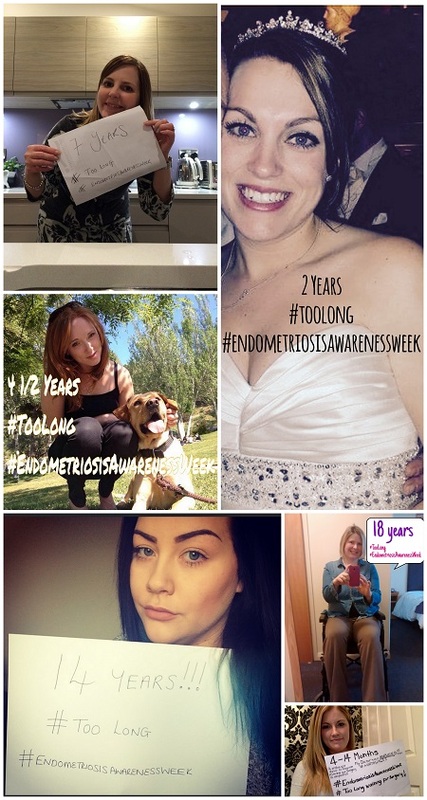 These photos also appear on our Endometriosis Pinterest page.